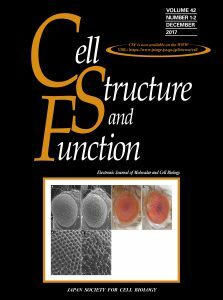 Cell Structure and Function’s articles are freely available and are published under a CC BY 4.0 license. The journal publishes articles as soon as they are ready, with two issues collated per year. The rich archive extends for over 40 years. Many important articles have been published in the four decades of the journal’s existence and we invite you to explore the latest articles and archive of the journal. Please go the the journal web page at J-STAGE for all articles.